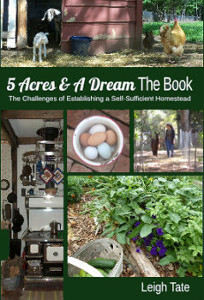 5 Acres & A Dream: Looking for an Interesting Read This Winter? Looking for an Interesting Read This Winter? 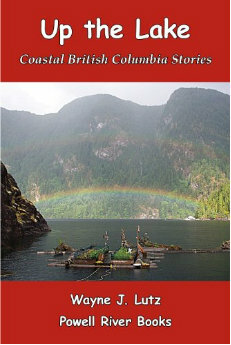 I've got just the book - Up the Lake: Coastal British Columbia Stories by Wayne J. Lutz. It's nonfiction with something for everybody. Wayne and Margy Lutz live in Los Angeles but are adventurers at heart. They spend their summers in their Piper Arrow exploring the Canadian Pacific coastal. When they discover the small town of Powell River in British Columbia, they fall in love with the area. That is the beginning of a new life adventure and a new lifestyle. Home base for this new lifestyle is an off-grid float cabin on Powell Lake. I found the idea and uniqueness of living on a lake to be highly interesting. Float garden, anyone? The adventures include small aircraft, boats, kayaks, motorcycles, and all-terrain vehicles for exploring rivers, lakes, mountains, islands, old logging roads, and the rugged BC coast. They are filled with interesting people and local culture, wild weather, wildlife, and, of course, a well-loved dog. The book is written with a well-crafted blend of humor, suspense, and adventure, all of which make for entertaining reading. Up The Lake is very well written, has excellent photos, and plenty of maps so that the reader can follow along. In reading it I have gotten a real feel for the flavor of this unique lifestyle in this unique place. I love the author's honesty about his level of knowledge, experience, and limitations. I feel like I'm reading about a real person, a person I can relate to. I have a sense of satisfaction as he tackles challenges head-on and overcomes the learning curves. Up The Lakes is the first in a thirteen-volume series entitled Coastal British Columbia Stories. I enjoyed this one so much that I'm looking forward to reading more. It's available at Amazon in either Kindle or paperback format. Just click here to go to its Amazon page to "Look Inside" and read customer reviews. Best of all, the Kindle version is currently available for free! So if you're looking for something interesting to read, look no further, this is the book. I love books like this - reading about people who lead an entirely different style of living than you do - I went out to Amazon and downloaded the Kindle version right away. Thanks for the title. thank you for visiting my blog. I'll be back here for sure. Just my sort of book. Thanks for the link, it worked over here as well so I'm pleased to have another kindle book for free! Woop! Always on the look out for book recommendations! RT and Kev, you're welcome! I have no doubt you will enjoy this book! Sounds wonderful. That area is so beautiful, too. I met an artist in London who lived in Powell River, if you can believe it, She was probably in her late 60's and she was traveling by herself. A unique person also. I have a soft spot in my reading library for books about people who give up everything to start over in some remote corner of the world. This sounds right up my alley. An Island to Oneself and One Man's Mountains both rank at the top of this list. Sue, how interesting, what a small world! A unique place with unique people. 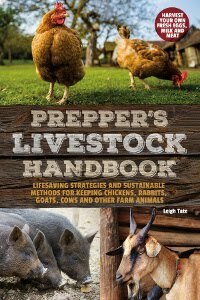 Ed, I know you'll enjoy this book. Yes, there's something fascinating about different lifestyles in different places. Makes one appreciate the wonderfully diverse world in which we live. Every now and again I have the silly notion of just stopping everything and going off to live somewhere completely unknown. Completely irrational, but there it is. Hi,another good book is "Winds of Skilak", by Bonnie Rose Ward. A young couple move to a remote island in Alaska and live off grid. I found it very interesting. Now there is a sequel. Both available on amazon. Margy and Wayne, you are very welcome. I love getting book recommendations myself and love passing them on to others as well. This was a good one to pass on! TB, come on in, the water's fine! Brenda, thank you for the recommendation! Sounds like another book I'd love. Real life adventures are the most fascinating. This looks a great read I will try and get it on my kindle. I read a book years ago (I’ve read others since) called snowball oranges that I think started my dream of escape from the rat race. Mark, Kev was able to download it and he's in GB, so hopefully, you can get it too in Bulgaria. I know you'll enjoy it. I'll have to look for the book you mention. I'm always interested in good recommendations. I now stick to nonfiction these days. My problem is finding to read. My days and evening are just busy eveb in winter. Jo, yes, time is the problem. I like to read at bedtime, but I'm usually so tired from a full day that I only get a few paragraphs or pages in before that's it! Thank you for the review - it definitely is going on my To-Read list! I added this to my wish list...I just spent $20+ dollars on ebooks, and don't need to spend more now. I have several books about living in Alaska/the great North...they are some of my favorite books. I have two or three both in hard copy plus I bought them for my Kindle. Rose, this is an excellent book to have on your wish list. I'd love to hear your recommendations for Alaskan and Canadian setting books. That's a part of the world I'll never visit, which is probably one reason why I love reading about it. Carport Question: Fix It or Nix It?